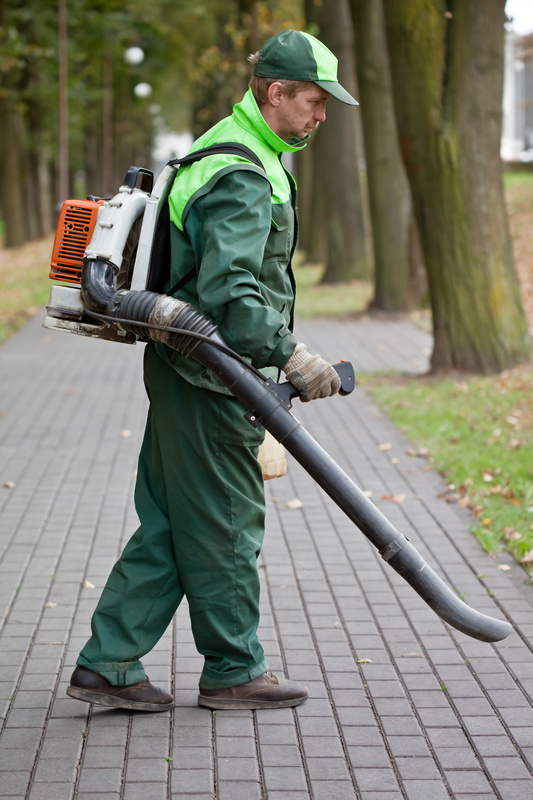 Landscapers Insurance: Would You be Covered in These Risk Scenarios? If you own a landscaping business, you know that your labor-intensive work comes with great risks. Just one lawsuit by a disgruntled customer or injured bystander could drain your business assets. Does your landscaping business carry business insurance that covers these risk scenarios? A child is badly cut while playing with hedge trimming equipment that an employee left lying on a sidewalk. Fertilizer reacts to an unknown substance lurking on a commercial property causing several nearby people to become ill.
An inexperienced backhoe driver runs into the side of a client’s home causing significant damage. In route between jobs, an employee causes a fatal accident while discussing job specifications on his cell phone. After a large soccer complex is completed, the client reports excessive standing water because you failed to properly address the drainage issues. A work trailer containing thousands of dollars of equipment and supplies is stolen from a job site. What can you do to manage these risks and protect your business? Be proactive and diligent about safety. According to the CDC, landscape workers experience 3.5% of occupational fatalities although they account for just .8% of the U.S. workforce. In other words, landscaping is a high risk occupation. Therefore, you need a solid safety program with thorough training for your crew, including safe operation of equipment, proper lifting techniques, hazard materials handling, and First Aid training. Follow best practices such as OSHA guidelines and require your employees to wear appropriate protective gear (work boots, safety glasses, ear plugs, and dust masks). During the summer months, be aware of the risk of heat illness for outdoor workers. And, be particularly vigilant about safety during tree trimming or falling as this is one of the riskiest aspects of landscaping work. Consistently maintain your equipment. Damaged or improperly maintained equipment presents a serious safety hazard to you, your workers, your clients, and even the general public when you’re transporting. Keep up with regular maintenance and repairs to keep equipment running properly and safely, and to avoid any liability issues. Implement an in-house procedure for tracking when each of equipment is due for service. Carry the right insurance. You’ll need Commercial Auto for your vehicles, Workers’ Compensation for your employees, and General Liability at a minimum. You might also consider Inland Marine to protect your valuable equipment while it’s being transported. Another consideration is Umbrella Liability / Excess Liability coverage to increase your liability limits. Keep in mind that policies can vary drastically from carrier to carrier in terms of limits, exclusions, and deductibles. The last thing you need is to find out after a claim or lawsuit is filed against you that you’re not covered. It only takes one serious incident to put your finances and your entire operation in jeopardy. For a safe and prosperous summer work season, make sure you know your risks, know how to manage them, and have the right insurance protection. The New York business insurance experts at BNC Insurance and Risk Advisors can help you find the ideal business insurance to stay covered – on the job site and on the road.